Understanding and managing facility space is about more than square footage or the number of conference rooms. Visibility into the modern workplace means knowing what types of space you have, how this space is used, how often it is used, and what types of employees are using it. Space management (a.k.a. space utilization) deals with how you allocate space to the operational units of your organization. Space allocation is based on past requirements, forecasted requirements, and needs of the employees, equipment, and other organizational units. Facility managers may use indoor 3D maps for better visibility into space utilization, often in conjunction with smart office devices and the Internet of Things (IoT) data they produce. Why Does Space Utilization Matter? So why worry about how space is allocated across your facilities? Using space more efficiently can mean huge annual savings for companies. According to a global study by JLL, 30-40% of office space is underutilized during a typical workday. If the typical cost per occupant/employee is about $12,000 in the U.S., then 30-40% underutilization means a loss of $3,600-4,800 per employee, every year! With better visibility into the workplace and how space is being used, companies can make more informed decisions about real estate, workforce allocation, equipment, and more. Workplace maintenance is a huge, often overlooked responsibility for facility managers. In the age of smart workplaces, facility managers must not only keep everything up and running, but also manage the space in a way that keeps employees productive. Facility downtime means huge costs for the company. In fact, 81% of businesses estimated the average cost of downtime (excluding catastrophic outages) exceeds $300,000 an hour. Proactive maintenance—which is much less expensive than reactive maintenance—helps companies extend the life of their systems and equipment and minimize downtime. Proactive maintenance is often scheduled and managed through a comprehensive maintenance program. However, this maintenance program is only as strong as its execution in the workplace. Facility managers can make use of IoT technology to monitor how and when maintenance staff conduct inspections, tests, and regular upkeep. When you monitor maintenance program compliance, you can improve workforce visibility, maintenance consistency, and employee productivity. The use of IoT data in the workplace is growing and expanding all the time. More than 80% of businesses say their use of IoT has grown, and organizations that use IoT to reduce costs have achieved more than 20% cost reduction. In corporate real estate in particular, companies are expected to deploy nearly 1.3 billion IoT sensors between 2015 and 2020, marking a compound annual growth rate of 78.8%. But the problem with IoT-generated data is a familiar one: a huge data set means nothing without analysis or context. Being able to report this data is one thing. It’s another thing entirely—and a much more valuable thing—to match this data with the physical world. When this data is integrated with something like a 3D map, it becomes a compelling decision-making tool for your business. Once this data is in your hands in a user-friendly format, you can find ways to use it in real-time. If workspace data shows that conference rooms are sitting empty most of the day, set up a smart reservation system that allows employees to see if the room is being used and easily book meetings or co-working sessions there. If you find that valuable equipment is sitting idle, figure out ways to use this equipment for new hires, use it as replacement/loaner equipment, or determine if it’s really needed. Track how your employees interact with the smart office, and measure which workspaces and assets are most popular among employees. These are just a few ways companies can use IoT data to improve space utilization in a smart office. 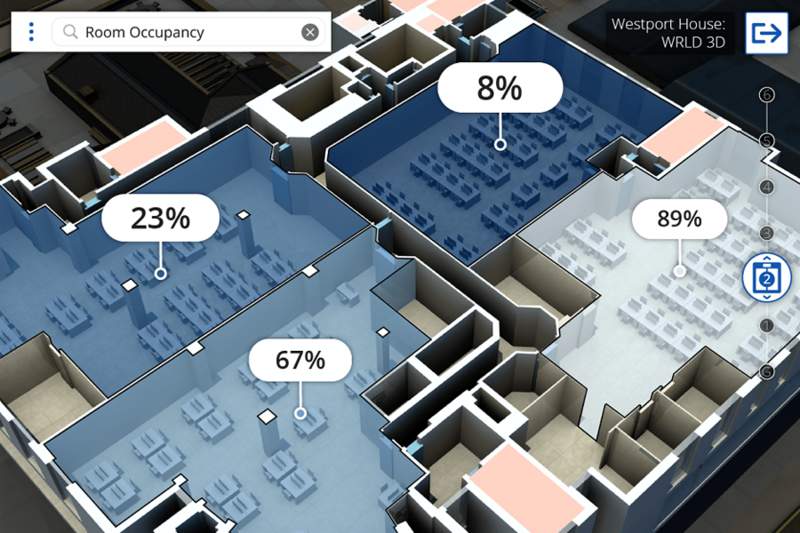 With an integrated 3D mapping tool like WRLD, you can take your smart workplace to the next level by creating unique maps for facility managers, occupants, executives, and visitors so everyone has access to the right information. 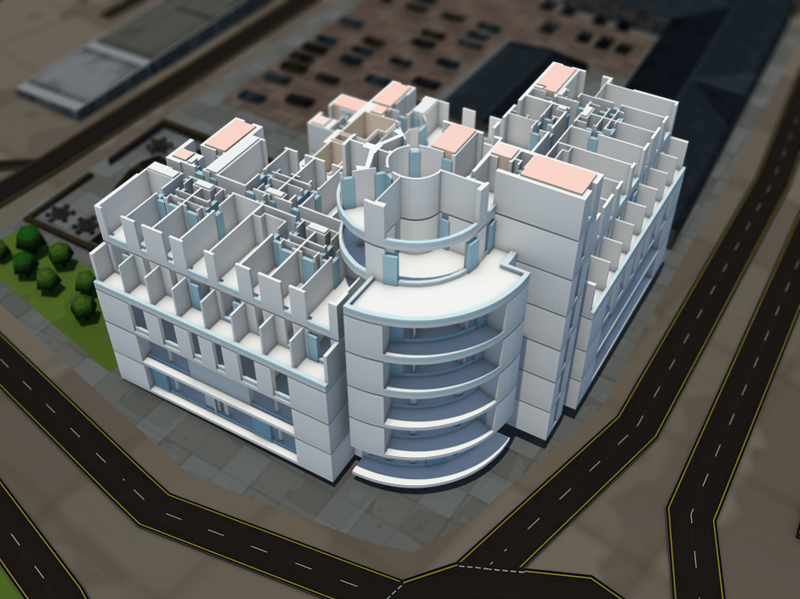 3D maps from WRLD enable smart offices around the world. Interact with your workplace at any time from mobile, desktop, or kiosk. Find your way around the office or the corporate campus with dynamic maps and wayfinding. Find open meeting rooms and hot desks and book instantly on the reservation system. Discover points of interest and assets, including art installations, printers, and more. Take the next step toward a truly smart working environment, and begin creating a smart workplace. Contact us today!